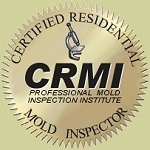 ﻿ Master ﻿H﻿ome and Building Inspections provides Home Inspection services for current and future homeowners. Our services are detailed and can include inspections on new and existing homes, and testing for Radon, Mold, Air Quality, and Wild Animal Infestation. Forensic Investigations are available for homes and commercial buildings where an ongoing problem needs to be located. VA NRS New Home Insp. View more of our reviews here.